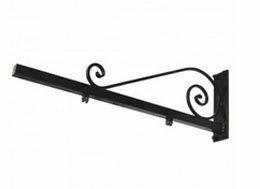 These sign brackets made from heavy duty steel which is galvanised and powder coated black. The cross base is laser cut from 8mm plate steel with 3 No. 13mm fixing holes, and the projecting arm is40mm x 40mm box steel. 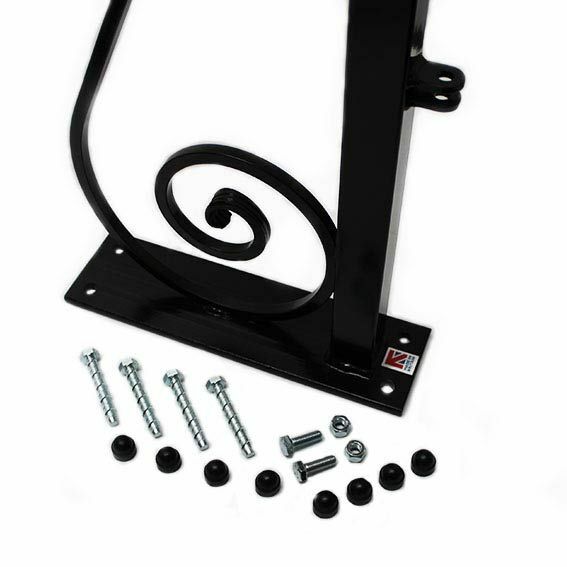 This range of sign brackets is supplied with free wall fixings.For panels add 2 D-Shackles. For Tricoya, wooden and framed signs add eyestraps and quicklinks.